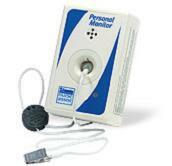 Accurate electronic pressure meters used as standards or as pressure meters in healthcare environment. 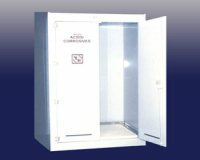 Cabinets designed for protective storage of highly corrosive strong acid, fumes and spills. They are appropriate for acids such as hydrochloric, sulfuric, and nitric or other corrosive elements. These cabinets are constructed from either protected wood, metal, or plastic materials, and are leak-proof. Cabinets are either stored under the counter, stand alone, or wall mounted. 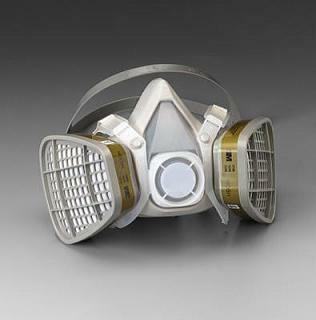 Air-supplying and/or filtering respirators worn to protect from airborne particle/gas inhalation. Devices that filter environmental air for the protection of the wearer. Airborne particles and/or various gases are filtered to prevent wearer from contamination. Self contained devices include air source, or devices that can be connected to an external source of compressed air. Bed with electrically controlled inflatable air cushions. Electrically controlled beds with inflatable fabric cushions using automated air compressor. Inflation and deflation intervals are controlled. Used for patients with problems that specifically concern skin such as burns, and for patients suffering circulatory problems to prevent ulcers and skin breakdown. 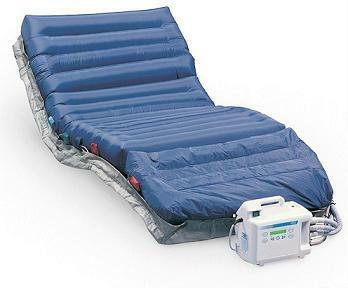 Inflatable mattresses designed for pressure relief. Controlled air loss inflatable mattresses designed for pressure relief , and to avoid skin maceration. Inflation and deflation are alternated in a controlled manner in order to both support patient and relieve pressure. May be used for both patients at risk, and for those who have already developed skin conditions which need management. 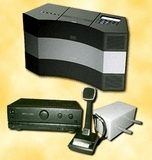 Bedside organization units for utility services and devices. 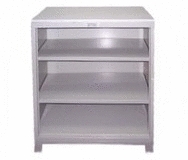 Prefabricated organization units that can be either wall recessed or in self-standing columns. 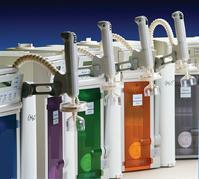 They are used for bedside organization of utilities (electrical, gases, vacuum) and devices. They are factory manufactured, pre-wired and pre-piped, with standard parts. The detection kits are based on the principle of sandwich-immunoassays, where an anti-agent antibody is immobilized on the membrane (immuno-chromatic). The amount of free antigen in the sample competes with the conjugate to bind with the available antibodies binding sites. The color developed due to the reaction of immuno-conjugate with suitable substrate is correlated with the concentration of the sample. 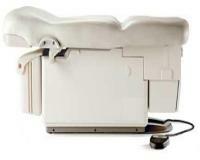 An adjustable bed offering women in labor the option of more natural positions. The entire process of childbirth can be conducted in the same bed from labor to delivery and through postpartum period, minimising risks and discomfort of transferring beds. 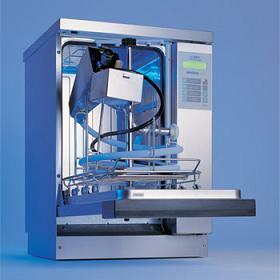 A system intended for cleaning and pasteurizing of equipment. A computerized system which mills the protecting blocks to achieve proper tissue compensation in radiotherapy. A computerized system which mills the protecting blocks to achieve proper tissue compensation in radiotherapy. This system mills the alloy blocks or the foam (negative blocks) to obtain the tissue compensation for radiotherapy. Medical curtains and screens for use in hospitals, patient rooms, exam areas and cubicles. Some types are bio-active or anti-bacterial. 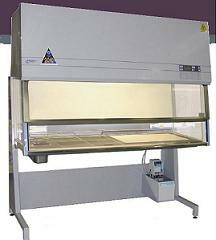 Cabinets designed for X-ray departments, darkrooms and film loading stations. Used for storage of film, images, cassettes and utilities used by the X-ray department. 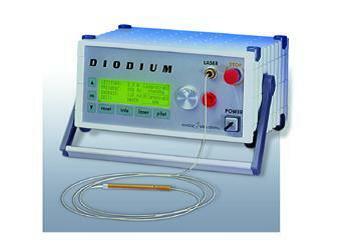 An instrument intended to check the electrical safety of the line input power circuit of medical equipment. This instrument basically measures leakage currents at the line frequency and the insulation resistance and the break down voltage of the power circuit. 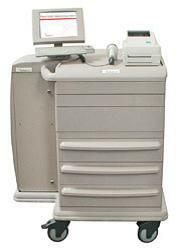 It can be manually operated testing unit or semi/fully automated device producing printed reports. A device for testing the proper function of electrosurgical units. This device simulates the electrical load for the ESU and analyzes the waveforms and electrical parameters associated with the output and the safety of the ESUs. This definition relates to thermometers, hydrometers, barometers, vibration test equipment, acoustic test equipment, etc. 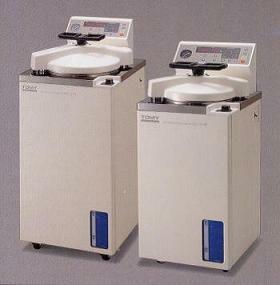 Ethylene oxide sterilizing units, with strict controls defining gas concentration,temperature, and relative humidity. A unit which allows versatile means of immobilizing and extricating patients during emergencies, accidents or confined spaces. A unit which allows versatile means of immobilizing and extricating patients during emergencies, accidents or confined spaces. Used in conjunction with a cervical collar to help immobilize a patient`s head, neck and spine in the normal anatomical position (neutral position). This position helps prevent additional injuries to these regions during vehicle extrication.| The patient`s head, back, shoulders, and torso are wrapped in a semi-rigid brace, immobilizing the head, neck and spine. Typically there are two head straps, three torso straps, and two legs straps which are used to adequately secure the device to the patient. Can also be used to fully immobilize pediatric patients. 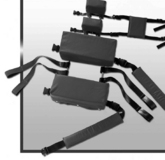 The straps are secured in a specific order: Middle, Bottom, Legs, Head, Top. 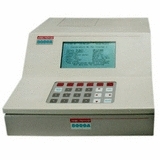 Monitors for measuring concentration of ethylene oxide. 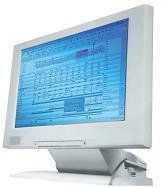 Monitors used mainly in hospital sterilizing rooms to measure and display ethylene oxide levels. 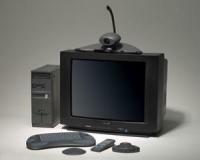 The monitors include sensor, control unit, and display. In addition they may also include alarms triggered to activate at preset concentrations, remote transmitting to a central monitor, and recording options. A new technology which captures by a special camera the physical, emotional and mental energy emanating to and from an individual. Light and narrow beds which facilitate moving the patient onto a fixed bed or table. Light and narrow beds which facilitate moving the patient onto a fixed bed or table. 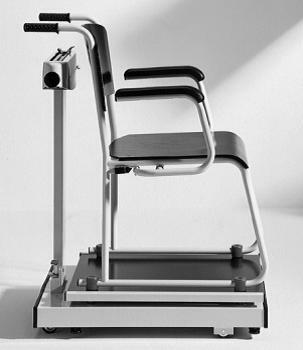 Some models are placed on wheeled frames, or can be adjustable in height; some include straps to secure the patient. 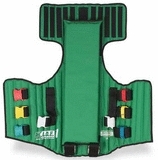 Collapsible gurneys are usually used for ambulances. Usually wall-mounted device that determines height. It could be simple rod mounted on the wall or it could be battery-powered using opto-sensors ant transmitting the measurements wirelessly to monitor, so that the result can be read at any location. Electrically controlled adjustable beds with moveable siderails. Patient and staff can control mattress positions and elevations, in three different sections independantly for varied patient positions including Trendelburg. Electric Beds - Electrically controlled adjustable beds with moveable siderails. Patient and staff can control mattress positions and elevations, in three different sections independantly for varied patient positions including Trendelburg. Delivery Beds - An adjustable bed offering women in labor the option of more natural positions. The entire process of childbirth can be conducted in the same bed from labor to delivery and through postpartum period, minimising risks and discomfort of transferring beds. 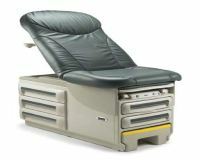 Pediatric Beds - Pediatric beds that can be used both for transport within medical facility and in intensive care. Safety features prevent climbing, falling, and other injury-causing situations for pediatric patients. Convenient access for treatment by caregiver. 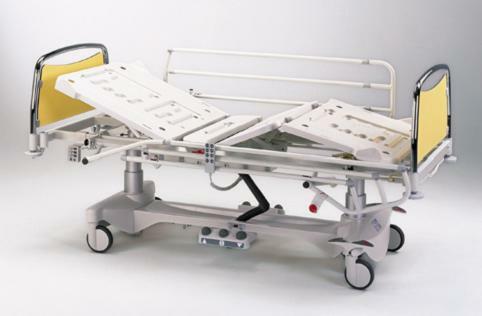 Stretchers - Mobile stretchers used for patient transportation within a healthcare facility. They can be fixed height, mechanically adjustable, or hydraulically adjustable.Equipment needed for patient treatment during transfer can be accomodated on stretcher. A hospital washing machine, or hospital washer, is a machine designed to clean laundry, such as staff uniforms, towels and sheets. 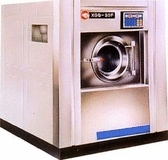 A hospital washing machine is designed to clean the hospital`s laundry by using mechanical energy, thermal energy, and chemical action. Mechanical energy is imparted to the clothes load by the rotation of the agitator in top loaders, or by the tumbling action of the drum in front loaders. Thermal energy is supplied by the temperature of the wash bath. A self standing device for the production of ice flakes or cubes. A self standing device for the production of ice flakes or cubes. These stand alone units produce either cubes or crushed ice, and store a specific amount of the ice produced in a refrigerated cabin. Often found in the operation theatre and the ICU environment. 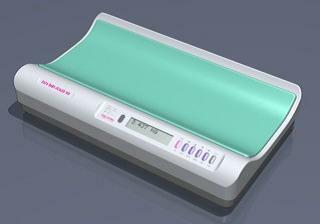 Scales that have a weighing platform with a tray, designed for infants. They use either a beam lever system, a spring system, or electronic display for weighing. Some scales are capable of taking into account diaper weight. 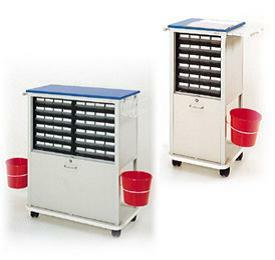 Surgical supply carts for sterile/contaminated material. Open or closed surgical supply carts, to transport sterile supplies to operating room, and to transport out contaminated supplies. 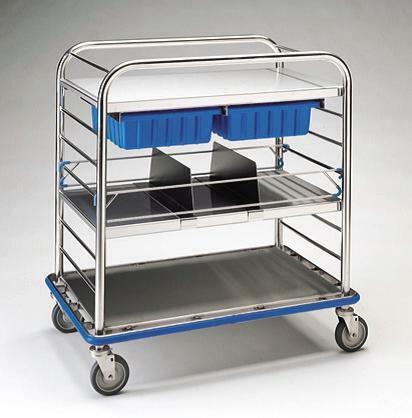 These carts are designed for easy cleaning, loading, and unloading. These isolation transforms may include alarms for alerting staff or patients. They usually comply with safety standards such as IEC60601-1 etc. 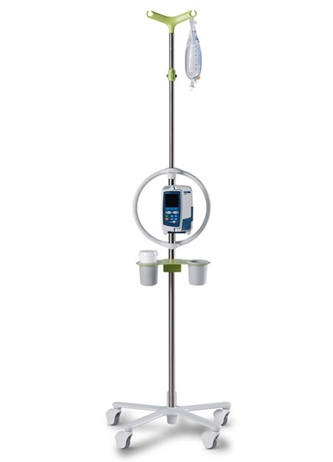 A portable, self supporting pole used for hanging reservoirs and bags for intravenous solutions. The poles usually have several legs and casters to enable easy movement, and may extend for gaining additional height. Some poles are designed for wall, ceiling, or equipment mounting, or include additional baskets to keep extra reservoirs and other small equipment. 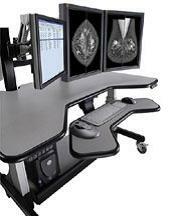 MRI compatible poles are also available. Equipment for different areas of hospital kitchens and cafeterias, such as the storage and cold rooms, cooking and baking equipment, fish, meat and vegetable preparation, dish washing, and the distribution of meals. 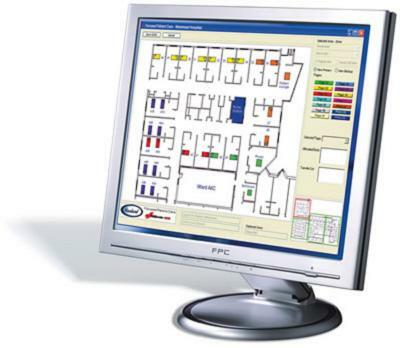 A system for managing administrative information and clinical tasks in hospital laboratories. Procedures such as test ordering, results reporting, and quality control can be automated, as well as maintenance scheduling, billing, and other administrative transactions. 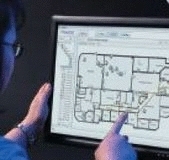 These systems are generally connected to the hospital administration system. Cabinets with different safety classifications. 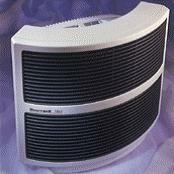 They are designed to protect operator, samples, and environment from various low and moderate risk biological agents using HEPA filter for laminar flow. Electrical devices which are connected between the power supplying system and the equipment, intended to provide the proper voltage amps (transformers) and to protect the input electrical system of the equipment. Electrical devices which are connected between the power supplying system and the equipment, intended to provide the proper voltage amps to protect the input electrical system of the equipment. Compressor units supply compressed air, free of oil, moisture, and particulate to operate dental, surgical and treatment units. Suitable for a range of dental, medical and laboratory applications. Devices for performing gas concentration measurements, or lowering vapor and water drops contents in the flow of medical gas (i.e. medical air, oxygen etc.). 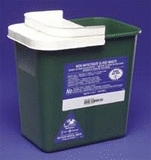 Medical Waste Systems are used to treat medical waste produced during the routine work done in many medical institutions. Those devices combined the two main functions needed for the processing of the medical waste: Sterilization (for infectious medical waste) and Volume reduction. They defer in size and throughput, to reply all needs of different institutions. Some models use hydraulic force for volume reduction, some collect surgical waste fluids, others use grinders for grinding the already sterilized materials. Many of those devices are “Environment Friendly” and will not emit environment contamination. Some incinerate the waste and use the emitted energy for different needs. A tracking system for medication. 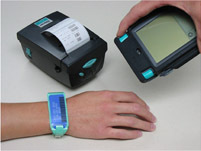 The RFID system tracks medication from the time the hospital`s pharmacy dispenses it until the patient receives it. 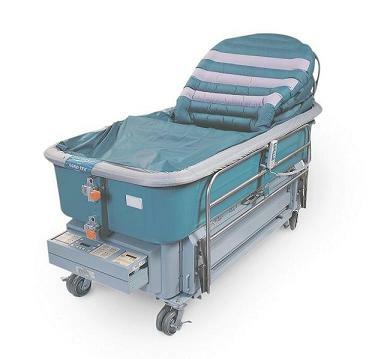 Carts designed to transport medication and supplies to patient`s bed. Carts with appropriate storage and organization features designed to transport medication and other supplies to patient`s bed. A removable section is used for individual dispensing of daily medication to patient directly from pharmacy. 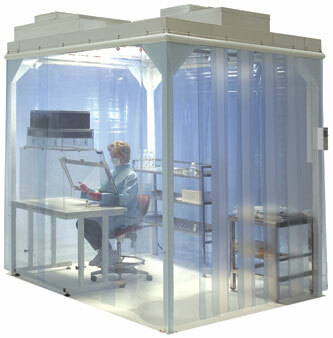 This is a modular clean room plenum which includes a rectangular body. The modular clean room plenum is attached to the structure of the building. Equipment specially produced to fit into the MRI suite. All these devices are neutral from the ferromagnetic effect. The list of devices varies from MRI suite windows, furniture, infusion systems, pulse oximeters, cameras, cabinets, stools, wheelchairs, stretchers, etc. An audio system for playing music during the MRI acquisition period. An audio system for playing music during the MRI acquisition period. During the MRI acquisition, the patients suffer from the loud noise and clicks accompanied with the scanning process of the MRI. In order to nullify the effects of the sound, music is played during the examination. The whole audio system should be totally MRI compatible. 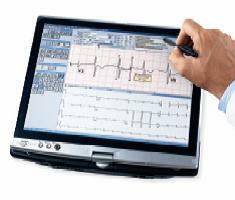 A device which generates signals simulating inputs to various medical instruments (measuring and monitoring). 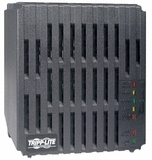 The output signals can be electrical or variations of different physical parameters e.g. pressure, light etc. 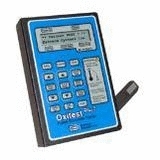 Device which enables testing and calibrating of NIBP meters and monitors. This device simulates either static pressure of different levels which enables the calibration of NIBP devices, or it simulates a dynamic pressure wave. Sometimes there are added different functions which can be tested with the same device e.g. ECG, RES. Computerized anatomic pathology information management system. A system for the anatomic pathology laboratory, providing clinical and administrative information and management features. 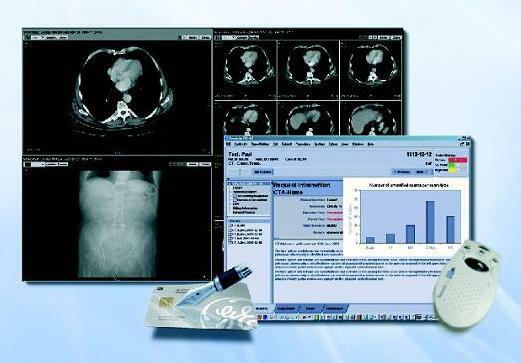 These include automation of laboratory activities, tracking capabilities, such as automatic image processing and analysis, tumor registry, trend reports, and billing. Most systems offer surgical pathology, autopsy, and cytology clinical packages. Underbed patient lifting scales, and bedside scales with lifting mechanism. 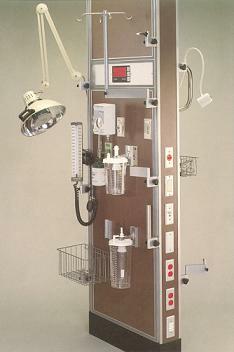 Underbed scales with transducers that are placed under the hospital bed wheels, and are connected to a control and display console. Bedside scales utilize a mechanism for lifting the patient, much like a sling, and include a weighing unit with display. Freezers for blood banks with temperature controls, sensors, and alarms for long-term storage of frozen plasma and red blood cells. Fresh frozen blood plasma can be stored for up to 1 year at -18 deg. C. These freezers may be set at temperatures of -20 or up to -30 deg. C. Plasma can be stored for up to 5 years using an anticoagulant preservative. 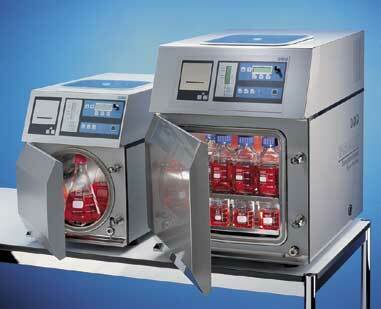 Sterilization units using plasma for the sterilization process. An electromagnetic field is directed to a vapor (hydrogen peroxide or peracetic acid), or gas (argon) substrate, to generate the plasma. Positioners which facilitate the turning and positioning of critically ill patients prone. Can be strapped to and moved with the patient. An instrument intended to check the calibration of pulse oximeters. 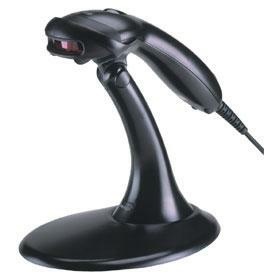 The unit simulates optical conditions similar to the expected conditions of the patient`s finger. This family of devices includes all types of accessories for supporting and fixing the position of the patient who is undergoing radiotherapy planning and treatment. 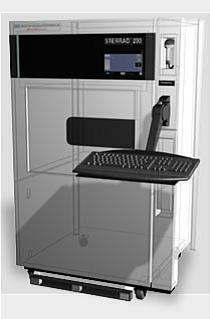 A system designed for handling of objects and materials without physical contact of the human operator with the objects. Most telemanipulation systems are based on control (master) arms operated by a person and working slave) manipulators which guide a set of instruments to perform the intended task (master-slave system). 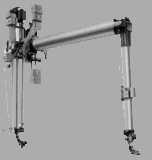 The system typically consists of robotic arms used as manipulators; a workstation including the control arms, computerized processing units, and visual displays; visual, auditory, and tactile transducers; and appropriate links between the manipulators and the workstation. 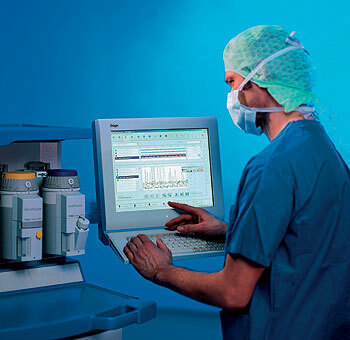 Telemanipulation systems are mostly used to move hazardous (e.g., radioactive) materials and objects in difficult access places; they are also used for surgical purposes. A total system which is intended to collect, destroy, compact and remove all kinds of sharp waste. A device intended to aid with preventing the spread of infections within the health-care setting. A device intended to aid with preventing the spread of infections within the health-care setting. At some cases the device is managed by an electronic control and dispenses the disinfectant without the user needing to touch the equipment. Large steam sterilizers that are used to eliminate microorganisms from heat-resistant medical and surgical devices, and surgical equipment. Infection control concerns itself both with prevention (hand hygiene/hand washing, cleaning/disinfection/sterilization, vaccination, surveillance) and with investigation and management of demonstrated or suspected spread of infection. 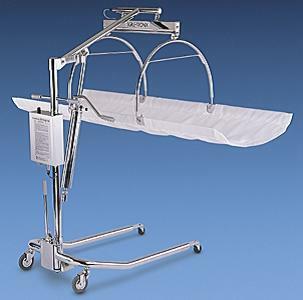 Mobile stretchers used for patient transportation within a healthcare facility. They can be fixed height, mechanically adjustable, or hydraulically adjustable. 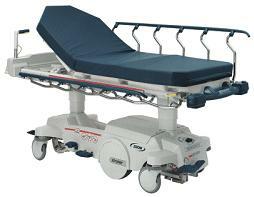 Equipment needed for patient treatment during transfer can be accomodated on stretcher. 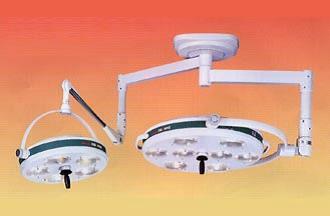 Prefabricated ceiling fixtures (booms) designed with a steel support structure and movable arms. 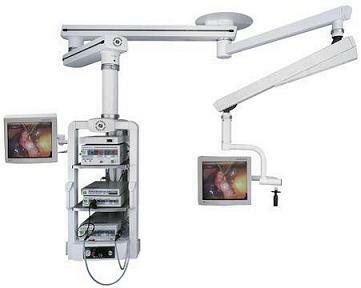 An equipment carrier is customized to support medical devices, such as monitors, electrosurgical units, and anesthetic devices. 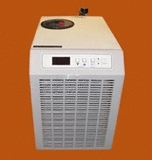 Electricity, gases, vacuum, and other utilities are organized on a specially designed module. 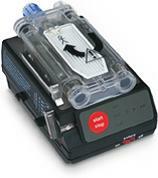 This device is used mainly in OR and emergency rooms. Scrub areas for bacteria-free and sanitary procedures. Some models feature knee, foot-pedal, or on/off sensor controlled valves to allow turning water on and off without risk of contamination. Scrub areas for bacteria-free and sanitary procedures. Some models feature knee, foot-pedal, or on/off sensor contolled valves to allow turning water on and off without risk of contamination. 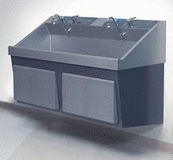 Models vary between single, double and triple sinks. 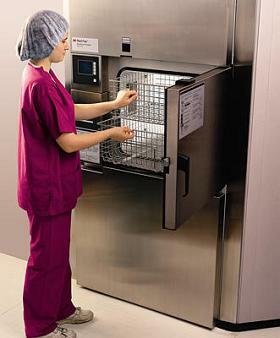 Tabletop steam sterilizers with compact sized chambers for hospital and physicians` office use. 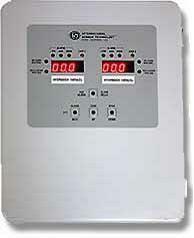 These sterilizing units eliminate microorganisms from heat resistant medical devices and other surgical equipment. 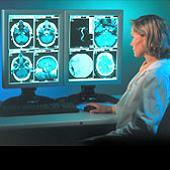 Information systems using telecommunications for transmitting and receiving digital images such as MRI, DR, and CT. Images and text can be transmitted to and from remote sites and in emergency situations when on-site radiologist consultation is not available. Pumps that produce vacuum by means of a piston moving in a cylinder or by means of a rotor. 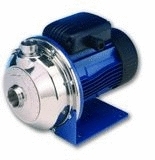 Typical vacuum pump is driven by electric motor. Vacuum pumps differ by the output capacity, by the maximum vacuum reached, and by the number of pistons and their sizes, or the size, the structure and the turning speed of the rotor. Some are two or three steps pumps capable of reaching rather high vacuum levels. 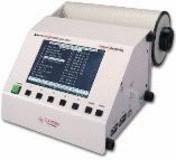 This system is intended for checking and calibrating of respirators and ventilators. Some of the units simulate true pressure waves and measure flows of gases and pressures to ascertain a proper function of the ventilators. Decontamination units using water delivered at high-pressure. Decontamination devices for removal of chemical , toxic, or biologically contaminated materials from equipment surfaces. These units deliver water at high pressure for an initial decontamination cycle. 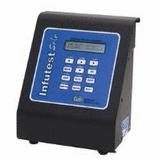 A simple portable meter which allows to check the conductivity, the pH, the salt content etc of liquid solutions. 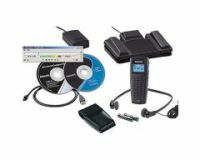 Usually the equipment enables to plug in different transducers according to the parameters under investigation. Devices that produce pure and ultra-pure water by mean of filtration, exchange columns, reverse osmosis or distillation. Some models produce water for hemodialysis units, others for Clinical Laboratory use, for Pharmacy use, for parenteral feeding preparations etc.